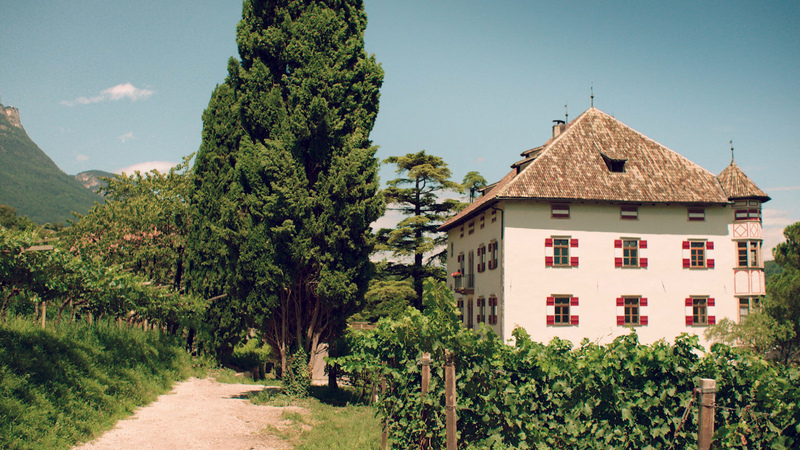 Castel Ringberg has the prestigious additional denomination of VIGNA. It is an additional mention of a smaller geographical origin and designs the smallest historical / geographical unit of a vineyard. Every single Vigna must be officially admitted and registered within the regional government. It expresses the ultimate thought of terroir philosophy with the idea of a parcel wine from an exact plot and hence having a historical or traditional name. 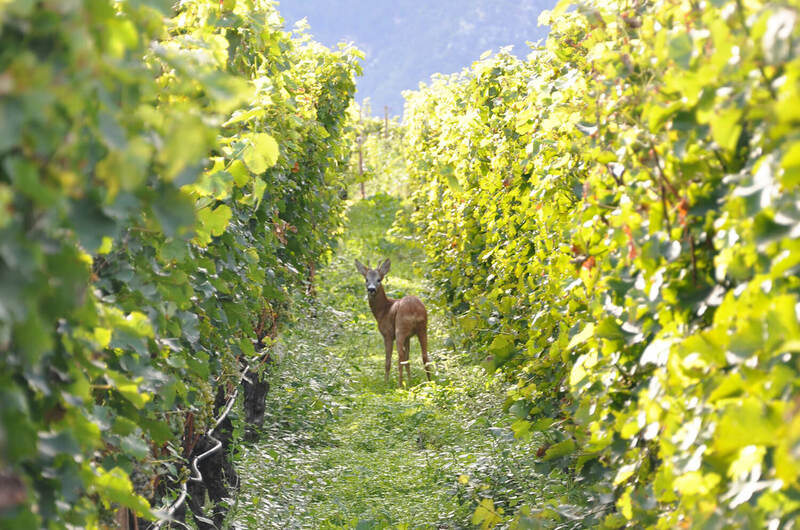 Elena Walch’s two VIGNA are the vineyards of Vigna Kastelaz and Vigna Castel Ringberg: Both recognized for generations for their unique terroir and for decades produced and commercialized by using the name of the same single vineyard they derive from. Proudly, the Renaissance castle built by the Habsburg dynasty in 1620 rides the waves of the surrounding vineyards. 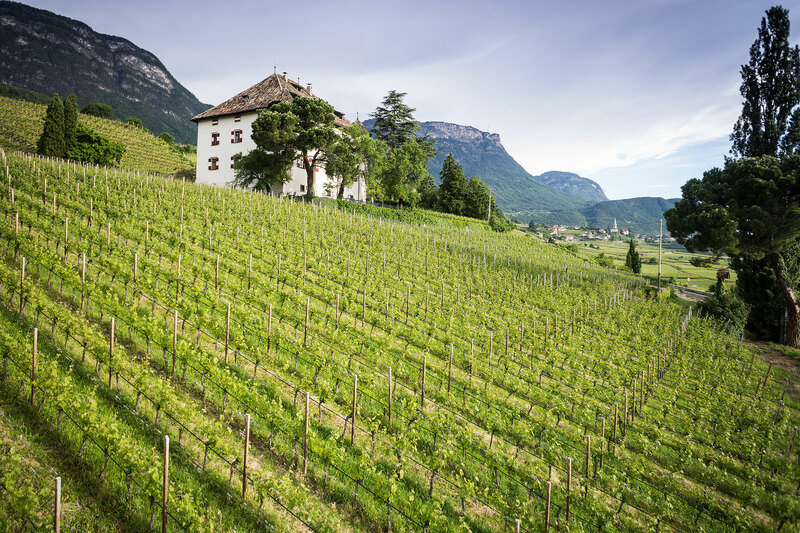 At about 20 hectares, this is Elena Walch’s – and most likely also Alto Adige’s – largest single vineyard. The moderately steep vineyards of moraine, mostly chalky but also loamy and sandy soils allow optimal cultivation for the production of unique, varietal terroir wines. Due to the mild climate influenced by the nearby lake and the ideal altitude of about 330m, year after year, grapes of the best quality are delivered to the cellar in Tramin, where the wines are pressed and aged. Vigna Castel Ringberg is a unique point of intersection between various soils from glacial and post-glacial times which rest on a rhyolite plate and are accompanied by the towering dolomite rock of the Mendola ridge to the west. The steep slopes on the north flank are 30,000-year-old gravel from the Adige River which alternate, in some places, with overlying 20,000-year-old calciferous and fertile moraine soils. In the south as well as in the north of the vineyard, the major areas are loose reddish limestone debris which provides well-aired and easy rooting soil for the grapevine roots.